If your idea of camping is carrying your bags into the room, then Glamping is probably more your style. Get the best of both worlds – proper beds, the sounds and smells of the outdoors, campfires, BBQs, the sound of the breeze, birds and native animals in the trees (nature’s air conditioning), stars that can stretch further than you ever really realised; BUT ALSO candle-lit dinners, tables, chairs, fairy lights, and gourmet picnics. Glamping is camping with style. Perfect for a romantic weekend away, a sneaky proposal, girls weekend or hassle-free family time. Glamping can come in many styles from the pimped-out caravan, a decked out vintage train carriage or bus or beautiful bell tents. 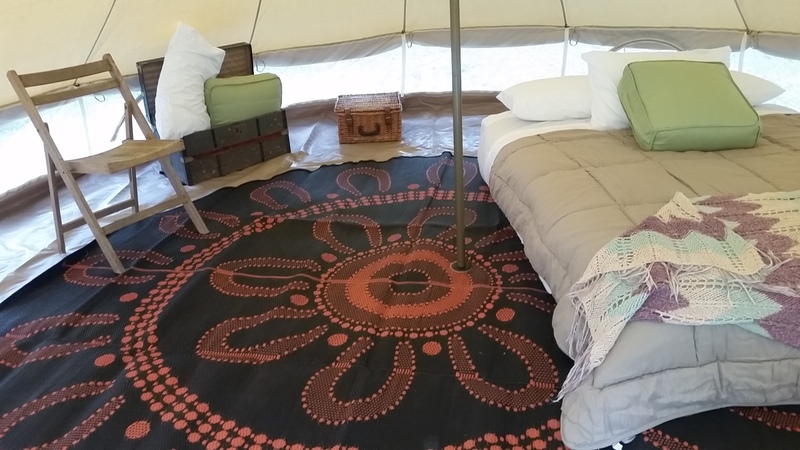 At Bunyip’s Camp we have opted for the romantic style of the bell tent. We like the versatility of the bell tent. It can be styled with just about any theme in mind and the floor plan changed easily. With just 1 internal poll and 5-plus meters of floor space there’s room for many bed configurations as well as seating and play spaces. 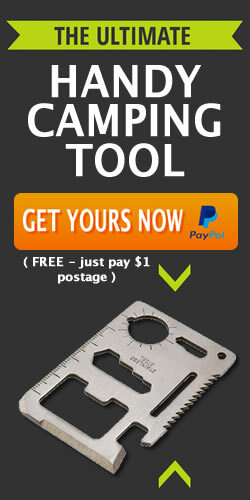 Not all bell tents are the same I realised when researching glamping tents for Bunyip’s Camp. Although most bell tents do have the same basic pattern the main difference is in the details and quality. The tent we opted for is a high-quality Canvas Camp tent with sides that can be raised or lowered and a mesh insert to keep the bugs out and let the breeze in. And believe me that mesh insert makes all the difference in summer letting that cool air in makes it just a dream to sleep in even in summer. The breathable 100% cotton canvas is ideal for Australian conditions and last night during a rather fierce storm I also found out it’s completely waterproof – no annoying drips! If you are anything like me and a drought-breaker (just take me camping in a tent and it’s sure to rain even if it hasn’t all year) then you’ll know how important it is to have no leaks! BOOK your Glamping experience and add a hamper to get a bonus bottle of bottle of beautiful wine. Just mention the wine bonus when you make your Glamping enquiry.